Tis the Season! Where I indulge in Christmas reads galore! I've already read a bunch by this point, and am happy to share my first batch of reads with you. I received digital review copies of a few of these and it is so noted. 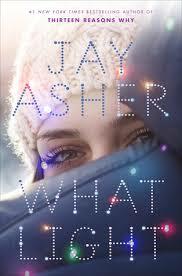 I've enjoyed what I've read from Jay Asher in the past, especially his collaboration with Carolyn Macker (The Future of Us). I was drawn to this because wow the title and the cover is lovely also. And because I'm a sucker for Christmas stories. This one had a unique Christmas tree farm premise in that the family really only went to sell on a lot which means they spend Christmas month (December) away from home every year. But they might have to change that which adds a whole new level of bittersweetness for Sierra as she might be saying goodbye to one huge chunk of her life. This is NOT a save the Christmas tree farm! story, the impending change merely echoes the impending change any teen would be facing around her age and heightens it for Christmas time. Sierra is a super reasonable girl--ready to dump any boy who shows signs of being unsuitable. But then she meets Caleb who gives her all the butterflies but also might be more problematic than any boy she's ever dated. Sierra has to get to the bottom of the truth about Caleb and her feelings and decide if it's all worth it...at the most wonderful time of the year. This book is sweet and Christmasy and delightful and just right for a quick holiday read. 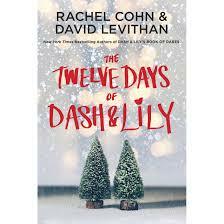 I really really enjoyed Dash and Lily's Book of Dares so revisiting this couple a year later at Christmastime was fun! And it WAS fun as the young couple had a lot of growing pains to work through and life issues to sort out. They are just extremely fun and engaging characters who happen to live in New York and it's Christmas time. 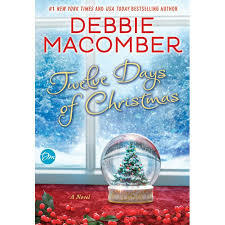 So there was a definite feel of Christmas cheer in the book but also growing up life stuff, dealing with family changes and intensity of feelings in relationships and general communication. Huge bonus there was an ice skating scene! While I enjoyed this a lot, the unique premise of the first one made it something just a little more special. Still, worth it to read this one! I have only read the Christmas books in this series! I read Blue Christmas last year and Christmas Bliss this year. 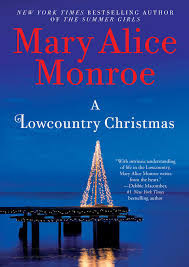 The book is a charming southern novel but there is very little Christmasy feel to it. Especially since it is mostly about Weezy's preparations for her wedding and BeBe attempting to get a divorce she thought she already ahd. Still, the characters are fun and there are a few sweet Christmasy moments. I've enjoyed Donna VanLiere's Christmas books in the past. Something that helps them stand out is that they are not primarily romances, although romances might play a part in them. They are more of the Christmas miracle variety, someone who is down and out on their luck makes a special connection at Christmas that breathes new hope into them. They are sweet sentimental books. 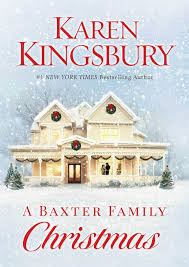 I liked this quite a bit as the main character, Lauren, is lonely and looking for a family at Christmas. What I enjoyed is that as she gives of herself, she finds others are giving, too. Sometimes the most unexpected people. And I also like that kindness is a virtue that is cherished in a book like this. Everyone likes to use the word kindness these days, as a buzz word almost. Be kind. We forget, I think, that true kindness springs from within. That it's a daily grind. It's an action that must be performed when we don't feel like it, when there's no reason for it, with no expectation of return. Always be a little kinder than you have to be. There's an act of daily kindness in this story that I think some people would look down at or sneer upon as too sentimental, but it heartened me to think of someone doing such a work. And also the work of paying attention to others. More to come, but that's what I've read so far!